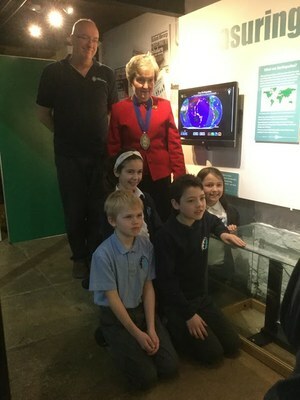 Museum Visitors will be able to jump, make and see their own earthquakes on new seismographs launched by Secretary of State for Education at the New Walk Museum in Leicester on Feb 12 and by the President, Mrs Joan Beeson the previous day to an audience including 90 children from Oakham Church of England Primary School at the Rutland County Museum. 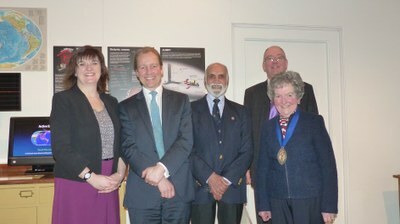 The Rt Hon Nicky Morgan, Minister of Education; Professor Paul Boyle, CBE The President and Vice-Chancellor of the University of Leicester; Emeritus Professor Aftab Khan, Geophysicist, University of Leicester; Paul Denton, Manager, UK school seismology project, BGS; Mrs Joan Beeson, President, Leicester Lit and Phil. 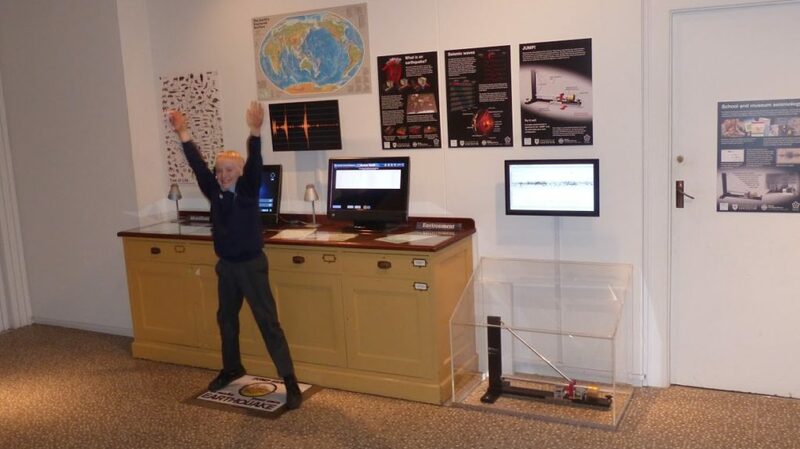 The instruments with interactive earthquake displays are gifts from the Leicester Literary and Philosophical Society of the residue of the HS Bennett Fund which was created in 1930s ‘to assist original investigations and promote education in science’.The displays link with the Seismology in Schools Project managed by Paul Denton of the British Geological Survey formerly at the University of Leicester. The President and Vice-Chancellor of the University of Leicester, Professor Paul Boyle and the Director of the British Geological Survey at Keyworth, Professor John Ludden, were among those who attended the launch at New Walk. This project uses simple seismometers installed in schools to detect signals from large earthquakes happening anywhere in the world. The destructive power of earthquakes excites and fascinates youngsters and many students who find physics uninspiring are stimulated by seeing a simple seismograph detect and record signals from distant earthquakes. Life Vice-President, Emeritus Professor Aftab Khan of the Department of Geology who initiated the project said: “The availability of cheap computers and the internet have made it possible for secondary schools throughout the world to install seismographs to continuously record and exchange earthquake data in real time and stimulate interests in geology, physics, hazards, and the exploration for water, hydrocarbons, and other materials the rapidly expanding world population will need in the future. Installing seismographs in museums as at New Walk and Oakham will expand the outreach to a wider population from primary school children to grandparents just as the telescope allowed stargazing and the development of interests in science half a millennium ago.” This exciting project will mean that anyone can watch the earth move anywhere in the world, even before the news of an earthquake reaches the media. 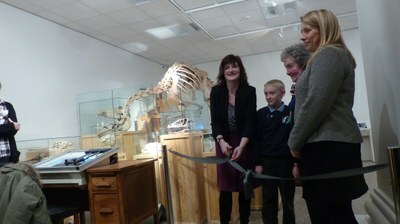 The Literary and Philosophical Society has had a long and close working relationship with the New Walk Museum and Art Gallery since its conception in 1849 when the Society formally presented to the town its various collections, and assisted with the purchase of the building in which it has grown and developed over the last 160 years into one of the premier museums in the region. The Society also has strong links and joint events the University of Leicester which it was responsible for founding in 1920 after delays caused by WW1. Many buildings and rooms are named after former Presidents.